Oooooh someone I’ve had my eye on for some time is Penny Nickels over at Donkeywolf. Radically modern needle lacemaking by an equally radical artist. She is featured in the very last issue (Summer 2011) of the much beloved Fiberarts magazine. 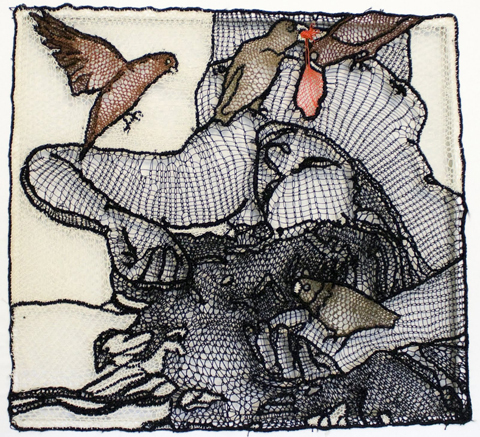 Before you run out to Barnes & Noble, check out her 2009 interview over at feeling stitchy. Oh I wish, I wish, I wish I could make lace.